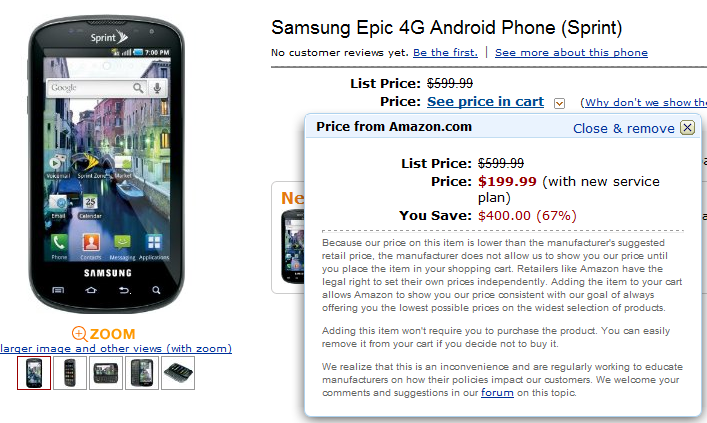 The new Samsung Epic from Sprint is now available for pre-order and should begin shipping on August 31, 2010. Looks like the floodgates have opened and pre-orders have started for the Epic 4G. All the usual suspects are offering the device, and all in their own way. As with the EVO 4G, Sprint will be requiring the Premium Data (or 4G) surcharge of $10/month. As always, to get the lowest price, you need to sign a 2-year agreement. Sprint is selling the device for $350 with a $100 mail-in-rebate (MIR). No plans for pre-order today. As you know, people can however sign up to get additional information sent to them when it’s available - but not pre-order. There you have it - as much as we wish it was true, looks like we have a bit longer to wait.